WARNING: IF YOU ARE A BOY OR AN INNOCENT CHILD DO NOT READ THIS you will be exposed to the true pain of womanhood! Stop eating junk food! This can be very hard because on your big P you probably have cravings for everything in the whole world. But once you eat, it makes the pain hurt more. Avoid starchy foods with carbs and salty stuff. Ditch the cereal for a morning smoothie or yogurt! Smoothies not only taste delicious but they can open up your immune system if you use certain fruits! 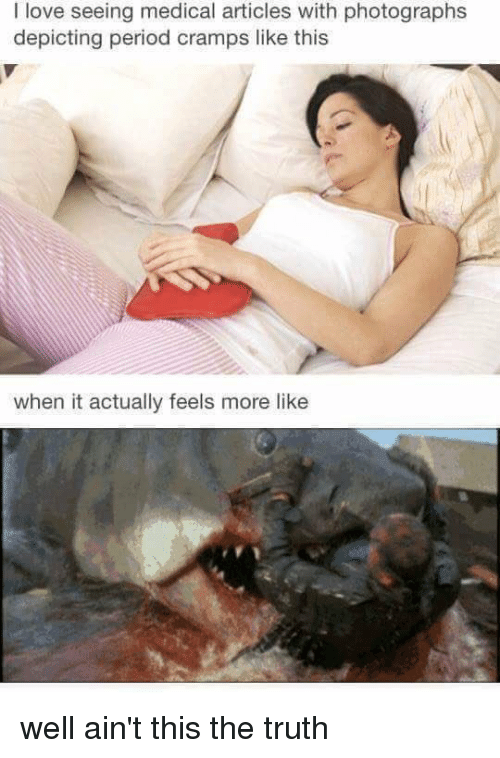 Look at period gifs and memes! Believe me, this helps! It feels so good to get a little laugh out and see that every girl relates to you! 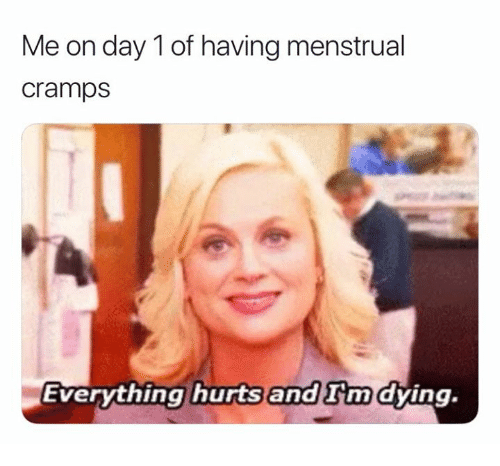 There are so many funny period memes online and it’s JUST HILARIOUS. I recommend being careful while searching online because there are some of the things that may come up but otherwise it pretty fun! Drink lots of water! Keeping yourself dehydrated during periods can lead to cramps and discomfort. Drinking at least 9 to 10 glasses of water a day during your period helps in fighting the bloatedness as it flushes waste out of your system. RElax and DON’T STRESS. 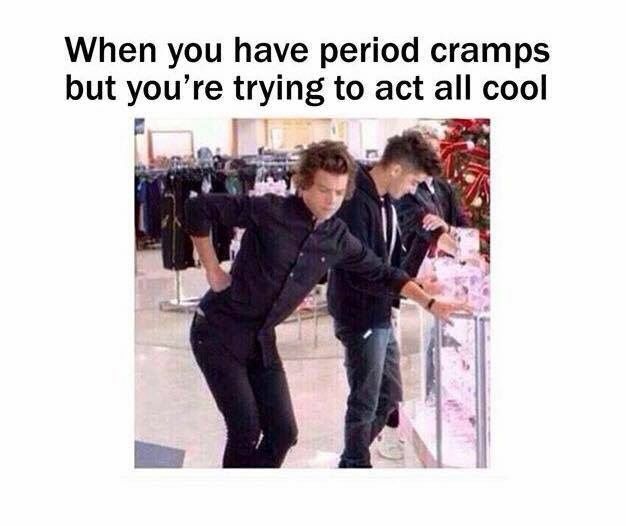 As hard as it is to stay calm, overreacting and being stressed can make your cramps hurt more. Try to stay positive! Try to stay positive and have fun! Even though life may be hard, doesn’t mean you can’t find a positive solution! I made a post about a lot of things you can do during the summer, some of these may help you enjoy this time of the month. And maybe it won’t be as dreadful as you expected! Did you enjoy today’s post? What are your tips for dealing with this? Do you like memes?